Quality Control and Ticketing is a robotic application that automates a high percentage of an agency’s ticketing functions. This automation reduces agency costs associated with manual work and increases agent productivity. By automating the majority of the fulfillment process that normally requires human intervention—including quality control tasks, service fees, ticketing and invoicing processes—you will be able to redirect resources to revenue producing activities. INCREASE AGENT PRODUCTIVITY: Automate tasks freeing up the agents to be travel experts providing valuable services and generating revenue. REDUCE COSTS: Eliminate errors that lead to potential debit memos and inaccurate reporting. TAILOR YOUR SETTINGS to fit your businesses needs with an easy-to-use configuration module. RUN THE ROBOT. It will send all successful transactions to the assigned queue; reservations that don't meet the quality control settings will be sent back to the agent. 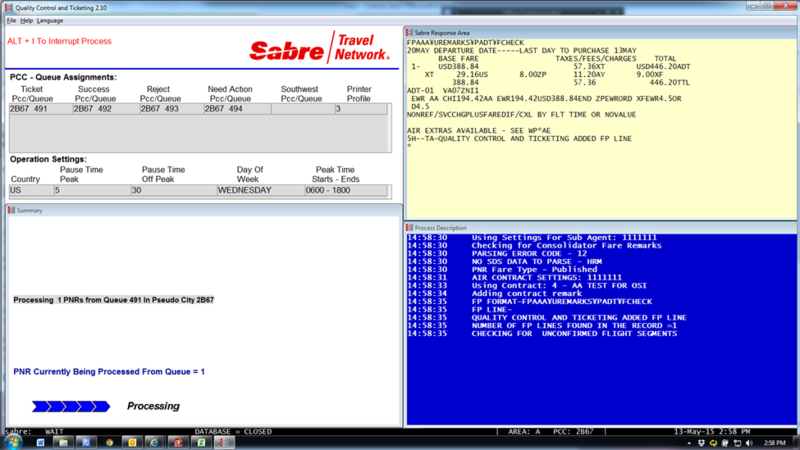 LET QUALITY CONTROL & TICKETING WORK FOR YOU while you focus on revenue generating activities. 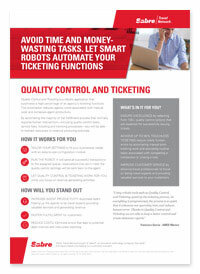 "Using robotic tools such as Quality Control and Ticketing speed up the ticketing process. As everything is programmed, the process is so quick that it enhances our operating time and reduces human error. 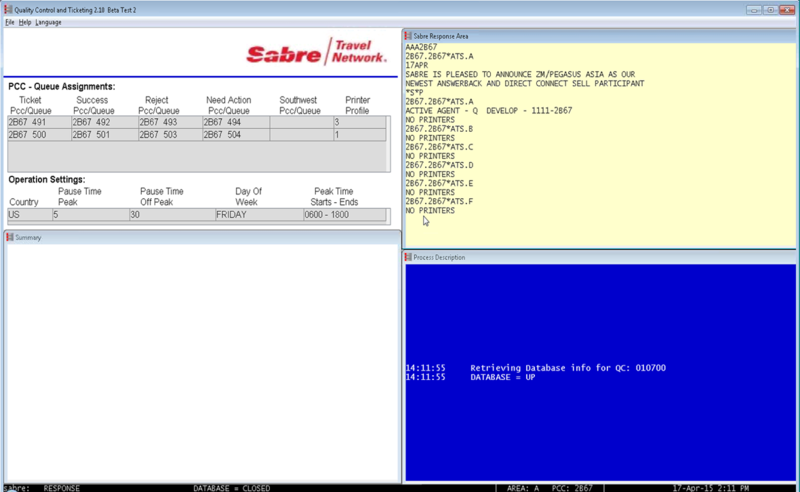 Thanks to Quality Control and Ticketing we are able to keep a better control and create elaborate reports".